relationships with several of the nation’s largest lending institutions to provide full financing options for our valued customers. Getting preferred financing for your branded title vehicle from AutoSource has never been easier or more affordable. Click on any of our simple tools above and start the process for getting the car of your dreams at a price you can afford! Is Financing available for Branded Title Vehicles? Absolutely! AutoSource is the ONLY dealership in the country to offer preferred financing on all clean and branded title vehicles using the most competitive financial institutions in the Rocky Mountain region. 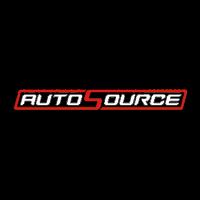 Thanks to AutoSource’s impeccable track-record over the last decade, we’ve been able to establish contractual business-to-business relationships with several of the nation’s largest lending institutions to provide full financing options for our valued customers! No other branded title dealer has ever been able to offer this kind of financing for retail customers-until now! If I have “Bad Credit”, can you help me get financing for one of your Branded Title Vehicles? Yes, of course! In fact, AutoSource is the ONLY dealership that offers ‘sub prime credit lending,’ specifically for branded title vehicles and/or for customers that have an average credit score 650 or less. Additionally, by purchasing a branded title vehicle our customers are able to buy a car several years NEWER and typically with 50% fewer miles and more options. Each car is, of course, VERIFIED with our 151-Point inspection, which drastically diminishes the possibility of future breakdowns or repairs. Will I have to pay an outrageous rate to finance a car with a Branded Title? The simple answer is, No, you won’t have to pay an unusual rate when you purchase an AutoSource car. Because of our long standing history and our unique relationships with world class lending institutions our buyers are able to secure the same great rates on our vehicles that they could expect on one with a clean title. Make sure you check out our video on this page to hear directly from one of our preferred lending partners. To see more of our Frequently Asked Questions click here.